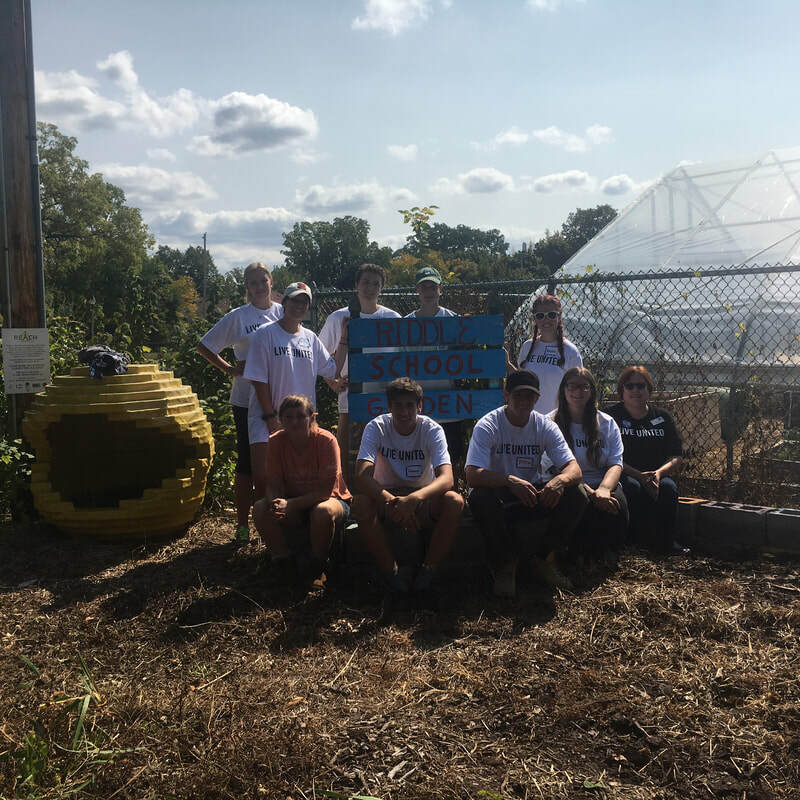 Volunteers from the chapter aimed to help children facing food insecurity by redesigning a school garden at Riddle Elementary School. Volunteers helped rip out old landscaping fabric, moving debris to a compositing site, and layout the site for a new garden. The school planned to use the garden in the spring and summer to teach kids about sustainability and the benefits of growing their own food. On the same day another group of volunteers helped to re-paint walls in the library of Willow School in Lansing. The walls were painted with literacy quotes to inspire students and create a welcoming environment for them to read and study. 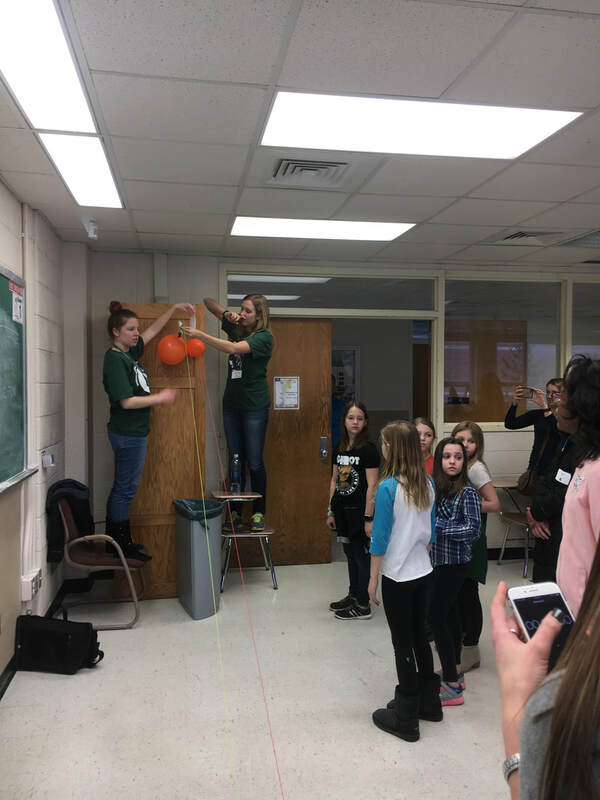 Every fall and spring EWB members participate in Introduce a Girl to Engineering and Girl's STEM Day through Women in Engineering MSU. 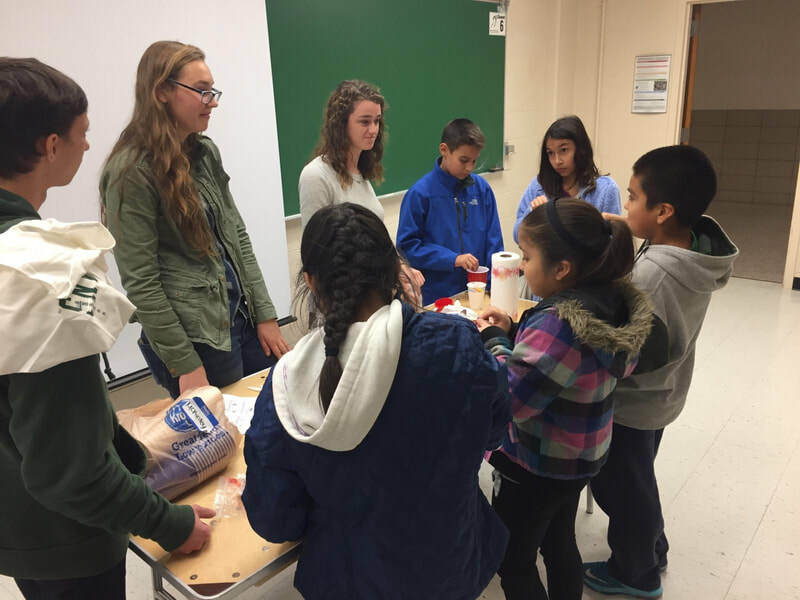 Members will lead a group science activity for elementary to middle school students. This is a great way for our members to interact both within the College of Engineering and with other elementary and middle school students. The goal is that the participants leave feeling inspired and excited about science and engineering. Each spring, EWB MSU hosts a merit badge workshop for local boy scouts. During this workshop, they can fulfill the requirements to earn the Engineering Merit Badge. 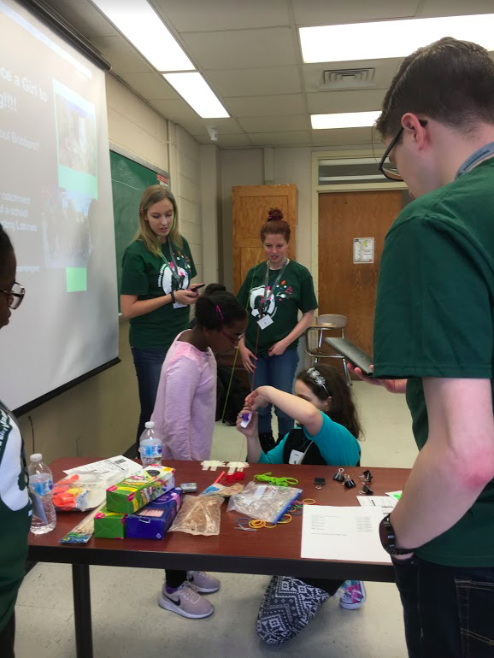 This year, members of EWB MSU ran an engineering themed Jeopardy game and lead teams of boy scouts in building rubber-band and wind powered cars. 25 scouts attended to earn their merit badge. EWB MSU joined forces with the MSU Fisheries and Wildlife Club to make the Red Cedar River a cleaner and more beautiful place. EWB members spent a cold fall morning hiking and canoeing along the river while picking up litter and removing items such as bikes and couches. Items pulled out of the river were taken by the MSU Surplus store for reuse or recycling. 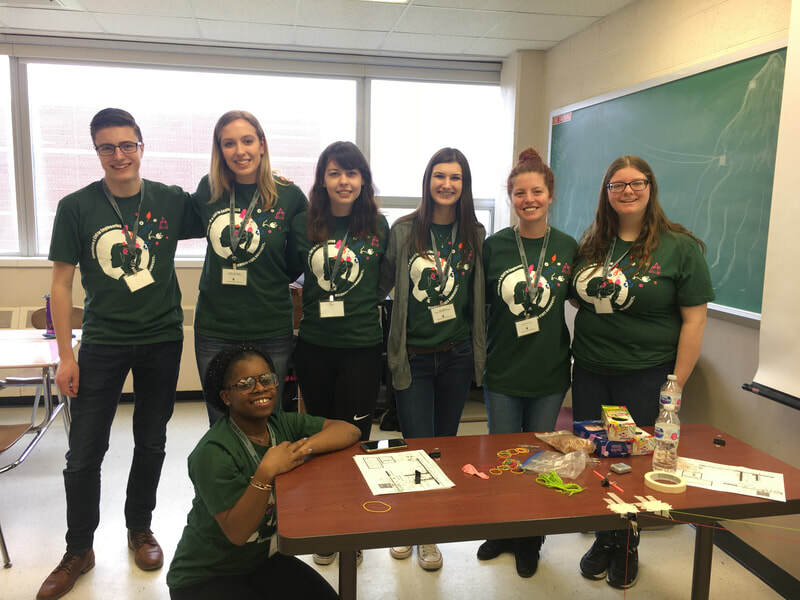 EWB MSU participates in the Engineering Day at Impression 5 science museum in downtown Lansing in the Spring. Members create a fun and interesting experiment to get kids involved and teach them about some of the wackiest concepts that are explained by science and engineering. MSU EWB members travel to the Ronald McDonald House to cook for the families of Sparrow Hospital patients.